With energy prices on the rise, it might not surprise you to know that wood burning stoves can be one of your best options for home heating, especially if you take advantage of new highly efficient wood burning stoves. A recent article “London’s Burning – Lowering fuel costs with an efficient stove” points out that in London and throughout the UK, gas and electricity prices have risen by an average of eight percent in the past few months. This has made wood burning stoves a popular heating option with sales rising by over 30% in the last year alone. At current prices for alternative heating methods, installing a modern efficient wood burning stove can save you up to £300 a year in heating costs; this does, however, need to be balanced against an initial investment of between £350-£1000. While clean-air regulations have been a barrier for the use of wood burning stoves in the past, today’s modern examples are designed to burn cleanly and are typically exempt from the rules that apply to ordinary stoves. In fact, wood is regarded as a sustainable energy source and modern wood heaters are, in fact, carbon neutral as far as greenhouse emissions are concerned. This is because modern wood burning stoves are over 85% fuel efficient, compared to about 25% for an ordinary wood burning fireplace. This is great news for people that are already aware of the magical ambience that a wood fire creates in a lounge room or other living space. There is nothing quite like the look of flames in an open fire and the crackle and pop of burning wood. In fact the design elements of a wood burning stove may be just as important as their energy efficiency when you are considering this option for your home. A wood burning stove can be regarded as another item of furniture in your home and the wide range of types and designs can be used to fit almost any interior. Cast iron, from which most traditional stoves were made, has a wonderful antique look. In addition, it offers streamlined shapes and filigree that are only limited by the creator’s imagination. Add to this enamel coatings in a wide range of colours and stoves can be as elegant and dashing as your design inspiration. Modern stoves often feature large glass panels that enable you to enjoy the burning wood while advances in technology mean that they are also easy to clean. If you are seriously considering a wood burning stove for your home you should look at what’s on offer from Galleon Fireplaces. The company was established in 1938 and today is the leading supplier of period and contemporary fireplaces. Their showroom in South London features over 80 installed fireplaces where you can check how they will look in a wide variety of traditional and contemporary settings. Galleon offers a complete service when it comes to installing your fireplace including consulting on the design and positioning in your home through to fitting and installation. Once you have made your choices the company provides a complete site survey to assess the scope of the work and provides a detailed quote before work begins. 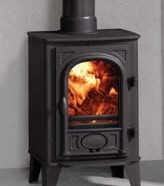 If you are considering a wood burning stove or fireplace, either to save money or to add a unique feature to your home, then Galleon Fireplaces www.galleonfireplaces.co.uk is well worth a visit.